Modular Homes - Who Should Buy These Types of Homes? Who Should Buy a Modular Home? Modular homes have become increasingly popular in recent years as an alternative to traditional, stick-built homes. Modular, or manufactured homes, differ from traditional ones because they are constructed off-site instead of in the ground. This type of construction yields tremendous benefits, as we outlined in our “The Benefits of Modular Homes” blog. While anyone can benefit from living in a modular home, the reality is that these types of homes lend themselves to certain lifestyles more than others. If you are in the market for a new home, assess whether buying a modular home could be a surprisingly good option for you. Traditional homes are the gas-guzzling Hummers of the housing world. Old and new homes alike suffer from issues of energy efficiency. Old homes have older furnaces, outdated A/C systems, leaks, and much bigger blueprints. This means they add hundreds of dollars to utility bills every month and contribute to environmental waste. New homes are being built with cheaper material and techniques, leading to flimsy walls and insulation. If you care about the environment, you already know this. 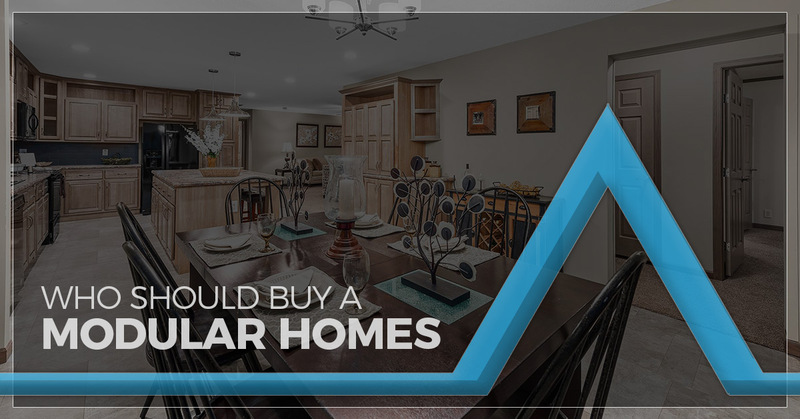 What you might not know is that modular homes are an excellent option, and perhaps a more practical one than waiting for the pay-off of solar paneling. Because modular homes are built in a factory, construction teams have much more of an ability to make an energy-efficient home. They can seal and caulk spaces that are absolutely unreachable in traditional homes. Additionally, most modular homes include two-by-six framing for walls; as a result, they can pack in much more insulation. For cold Marion winters, modular homes give you the warmth without the environmental cost. So many young couples and working professionals spend years paying other people’s mortgages instead of investing in their own homes. It’s not that these young professionals can’t afford a down payment; rather, it’s that they aren’t ready to settle down in a specific location. If you fall into this category, think about building a modular home. These prefabricated homes were built to be shipped. After all, that’s how they can get from the factory to your residential land in the first place. Moving companies exist specifically for modular homes, so you can take the house of your dreams with you wherever you feel like moving. It’s like living out of a Sprinter van, but much more comfortable and sophisticated. Modular homes were practically made for down-sizing couples. Most floor plans feature one-level designs, so you don’t have to worry about traveling up and down flights of stairs. Additionally, because modular homes are so customizable, you can get exactly the space you need and nothing more. You can get a three-bedroom model to comfortably host your children and grandchildren, or you can stick to a smaller two-bedroom model with one bathroom. No matter the layout, a modular home makes much better use of a space than a traditional single-family home. To see which modular home might be best for your lifestyle, check out our floor plan options! As the Top Rated Local® Modular Home Building in Illinois, including the Marion, Salem, and Mount Vernon communities, Cannon Homes is known for our high-quality modular homes. We are also an exclusive Redman Homes builder, so you can get these popular modular and manufactured homes built for you. With seven modular floor plan options and customizable features, we have a modular home to fit your lifestyle. To learn more about our modular homes, contact us today!